Hyundai Motors India Ltd (HMIL)- Second largest car manufacturer & largest exporter in India, is all set to take on the number one car maker Maruti Suzuki India and its top selling car Alto with its new small car Eon. 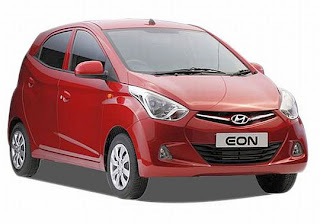 According to a report in The Economic Times, Hyundai’s much-awaited entry-level small car Eon will enter the Indian roads between October 10 and 15, days ahead of Diwali at a starting price of Rs 2.50 lakh to Rs 2.60 lakh only . According to the report, Eon sports the 'Fluidic' design characteristic of the restyled Verna that threw a serious challenge to its rivals like Honda City and Volkswagen Vento after its makeover. The report stated that despite company not divulging the price details, it was learnt that the base version of the car is being priced between Rs 2.50 lakh and Rs 2.60 lakh. The upper end of the car will cost less than the base variant of Hyundai's bigger sibling i10. Rival Alto sells at Rs 2.32 lakh (base variant ex-showroom price Delhi). The Eon is built on a completely new platform which has no bearing on the ones used before, either for the Santro or the svelte i10. 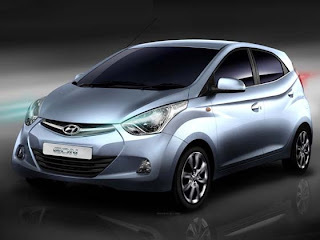 What clearly denotes the Eon is its stylish exterior with hints of Hyundai’s fluidic design language showing. It is no secret that trying to style a small package is much more difficult than a larger sized hatch or saloon. But with the Eon, the Hyundai design team has really pulled out all the stops and emerged with a package that is fresh, contemporary and appealing. Casey Hyun, the Australian-born Korean who headed the design team, was clear in his mind that style was as important as the interior detailing needed to prepare a product which had to stand the test of time in a class which would see newer competition arrive sooner rather than later. The black cabs are a very common sight in the British cities, especially in London and they’re famous for their drivers and the designs. This is also known as a hackney carriage and this vehicle is almost known as the staple vehicle in the UK. Are you a driver of the hackney carriage? If answered yes, you should get yourself a black cab insurance policy that can protect your vehicle from sudden accidents resulting to financial loss. Have a look at some factors that you need to keep in mind before getting the policy. Get multiple quotes from multiple companies: There are many black cab insurance companies that offer you an insurance policy for your hackney carriage. You must get multiple quotes from multiple lenders so that you can choose the best one among them and also save your pounds. The premium rates will depend on a lot of factors: The vehicle insurance company will need to look into the population density within the nation, the extent of accidents that occur on the roads, your personal driving records and the age of the vehicle before granting you a black cab insurance policy. Consider the extent of coverage: You must consider the extent of coverage that you are getting on the particular insurance policy. Remember that a low price doesn’t always mean a good coverage. Whenever you’re getting yourself a black cab insurance policy, you’re actually covering yourself, the other drivers on the road and your vehicle. Make sure the coverage is enough to cover all the aforementioned things. 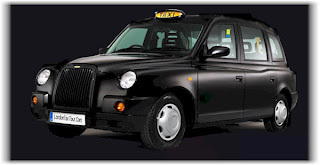 Look for saving money: You must look for some ways in which you can save money on your black cab insurance policy. You can either have a good driving record, a clean credit score and some other ways to reduce the risk of filing a claim in order to save your bucks. Therefore, if you reside in the UK and you’re a hackney carriage driver, get a black cab insurance policy to protect yourself against all financial odds.